This Friday we have the blessing of gathering with The Rt. Rev. 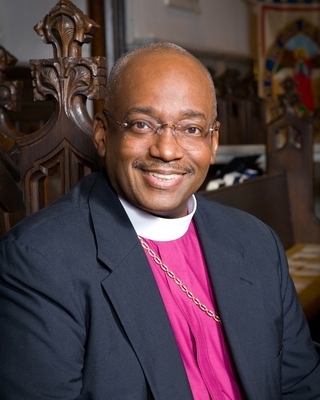 Michael Curry, Bishop of North Carolina, to explore how the Episcopal Church in Minnesota can further grow into Dr. King’s vision of being the Beloved Community. Minnesota and ECMN continue to increase in diversity. Likewise, we continue to see in both the metro and in greater Minnesota, an increase in violence. Last week, my sense is that many of us were shocked when a dispute between neighbors resulted in one shooting the other. When a teenager plots to set off explosives at his high school in Waseca, or two women are stabbed in downtown Minneapolis, or two young football players fight leaving one nearly dead, or college students at the U of M are consistently mugged for their cell phones – we have issues of violence. Racism and other forms of discrimination and violence are very real concerns for us in Minnesota. Central to our commitment in our Baptismal Covenant is to “seek and serve Christ in all persons” and to “strive for justice and peace among all people, and respect the dignity of every human being”. With “God’s help” this is our commitment to manifesting the Beloved Community that Dr. King called us to as well. Please join us from 2pm-7:30pm this Friday, May 23, at St. Mark’s Cathedral for a day full of events with Bishop Curry. This is an important opportunity for us to learn, explore, and strategize how we can work on becoming a Beloved Community. Click here for more information on Friday’s event, including a link to register.